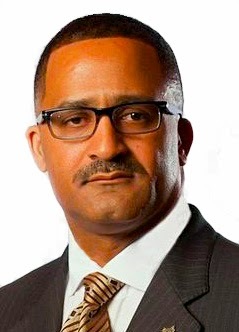 Charles Rambo is a retired Fulton County Sheriff's Deputy, and a candidate for Fulton County Sheriff in 2016. Can the Fulton County Board of Commissioners (FBOC) publicly demonstrate that the Fulton County Sheriff is not providing accurate data to fund critical staff shortages in his agency? Georgia's Constitution grants counties no legislative power or authority over sheriffs and expressly prevents counties from controlling or affecting the sheriff's office or its personnel. Although the State requires the county to fund the sheriff's budget, Georgia's Constitution prevents the county from exercising any authority over the sheriff, including how the sheriff spends that budget. So why is the FBOC as a local governing body conducting a manpower analysis for a duly elected constitutional officer? Policy and funding feuds between County Sheriffs and Commissioners are not new. However, taxpayers are the ones who end up footing the bill for politics as usual, lawsuits, and unnecessary studies. Consider in Fulton County alone the cost of excessive delays in appropriating funding for capital improvements to the county jail and the recent fallout over replacing outdated locks on inmate cells. With the current pay and classification study, will the FBOC continue to uphold a standard of pay inequality between Sheriff deputies in comparison to county police officers? Now the FBOC is preparing to allocate taxpayer dollars for an outside vendor to make recommendations about staffing a constitutional office. If the Fulton Sheriff has already submitted his manpower analysis and applied all previous funding for the active recruitment, training and retention of a competent workforce, why is an independent vendor needed to spot-check his executive authority? The real authorities have spoken and its time act on their recommendations. Since 1984, the United States District Court Northern District of Georgia has consistently mandated in several consent decree orders the required number of staff for the county jail. In 2005, the Fulton County Courthouse Security Commission made up of outside Sheriff professionals made industry based recommendations for staffing the state’s busiest judicial complex. In-house projections have also been determined for the number of patrol deputies needed on each shift to handle county-wide civil and criminal enforcement. With this in mind, has the FBOC also considered doing a manpower assessment for its own sub-unit, the county police department to respond to the hybrid crime trends in South Fulton County? The United States Senate and Congress recently played a dangerous game with our nation's safety over funding for the Department of Homeland Security. However, the power dynamic is constitutionally distinct between the FBOC and Sheriff. "In conserving the public peace, in vindicating the law, and in preserving the rights of the government, the Sheriff represents the sovereignty of the State and he has no superior in his county.” Therefore, taxpayers don't need to hear it from an independent vendor. They need to hear it directly from the elected Fulton County Sheriff about his strategic vision to secure full funding from the FBOC and hire staff tomorrow.